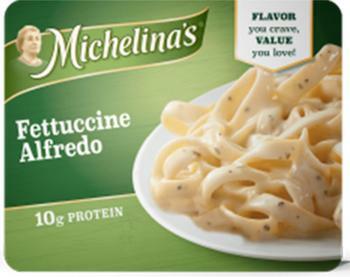 Bellisio Foods of Jackson, Ohio, is recalling Michelina’s Fettuccine Alfredo. No illnesses have been reported to date due to consumption of this product. Consumers with questions about the recall may contact the company at 1-800-446-5469 or by email at michelinas@bellisiofoods.com.